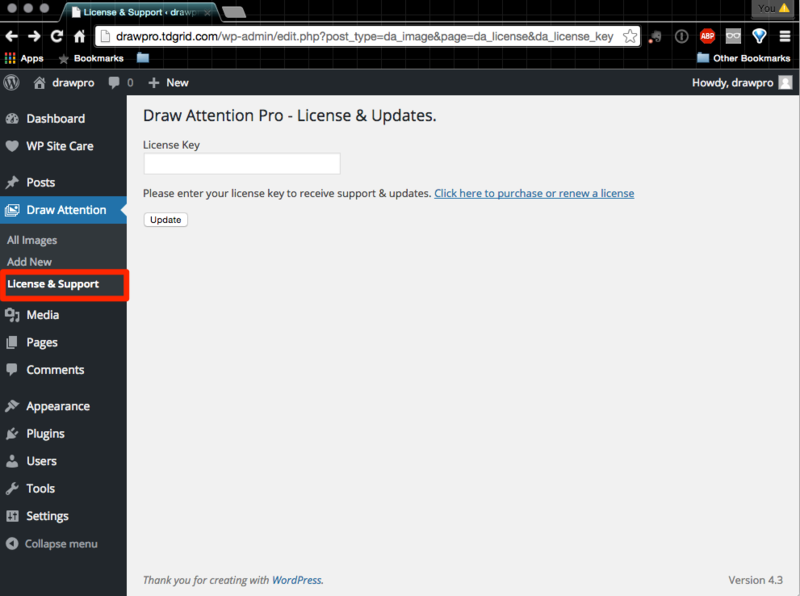 Check your email for your Draw Attention Pro license. What if I didn’t get my license key? 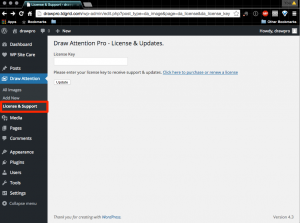 Download the Draw Attention Pro plugin, and upload and install on your own site. If you have the free version of Draw Attention installed, go ahead and deactivate/delete it. You may see a warning about potentially losing data, but don’t worry! Your images and hotspots will not be lost. 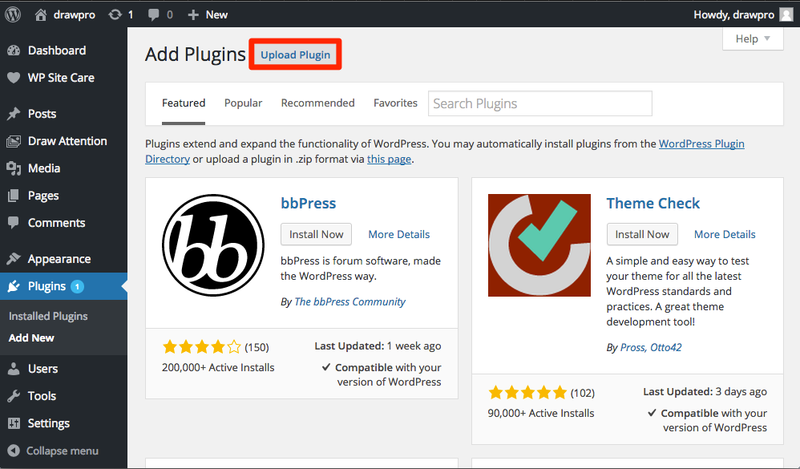 Navigate to your WordPress dashboard, under Plugins > Add New. Then choose the Upload Plugin button (towards the top left), and upload the zip file (you’ll actually upload the whole zip file, not the extracted folder.). 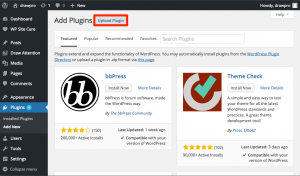 Once installed, just click the link to Activate it in the list of plugins. Under Draw Attention’s License and Support page, enter your license code. Step 4: You're All Set! Now you can create your first Draw Attention image!